Drakensberg: Multi-award winning cheese. 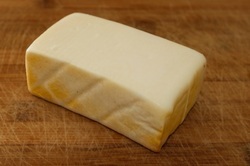 It is an ash-coated, white mould cheese. Can be enjoyed fresh or allowed to mature by removing foil wrapping. Its' texture becomes dry but keeps its creamy consistency and increases its subtle blue flavor. Great for cooking and in salads. Complimented with a Ruby style Port. St Maure: award winning white mould cylindrical cheese. It ripens over three weeks, becoming soft and creamy with the flavours of a strong Camembert style cheese. Enjoy St. Maure with a glass of Chenin Blanc or Gewürztraminer. Brie style: Subtle, mild, white mould Cheese. Best eaten at room temperature when soft and mature. Makes a tasty starter if lightly crumbed, fried and accompanied with a sweet preserve or simply eaten with water biscuits and a glass of Sauvignon Blanc. Chevre: Available in award winning smoked/ash coated, plain, herb and peppered flavours. Chevre is a fresh goats cheese, that should be eaten within three weeks or can be frozen. Add fresh to snack platters, crumble on Pizza’s or cut into rings and grill, to crumble when cool on a salad. Plain Chevin goes well with a glass of Chenin Blanc. Creamed Cheese: Light, smooth and spreadable. Freshest form of our goats cheese range. Great for dessert’s like Cheese cake or used as a base to a dip. Add fresh herbs or any liked ingredients and simply spread on homemade bread. 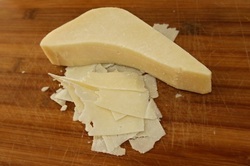 Pecorino: Vacuum matured from 8 months to a year keeping its creaminess. Firm, hard, piquant with a nutty, sweet flavour. Great in Pastas and as a substitute for any hard style cooking cheese. Isinyani: Comes in a smoked or plain version. Extremely creamy but solid cheese, loved by children for its subtle flavors. Delicious on top of Pizza. Tomini and Tombrini: These are the latest editions to the cheese range. Keeping in the style of Chevre, these small round cheeses are matured and cured in different ways, allowing useful verstility. Tomini: plain, firm, creamy and dry enough to allow the small cheese disks to be soaked in a fresh basil and extra virgin olive oil. These basil cured Tomini's are only sold in the farm shop. Tombrini: a white moulded Tomini. The white mould allows this cheese to get a soft centre and a strong flavour when it ripens. The small round cheeses are an ideal size for crumbing and deepfrying, to serve as a starter with a macadamia nut and fruit preserve.